Why Building A Hybrid Mobile App Makes Sense? Most businesses and even individuals thinking of building a mobile app are often confused between native and hybrid app. Even though native apps offer superior user-experience, they are developed specifically for a mobile OS, such as Swift or Objective-C for iOS and Java for Android. The main drawback of native app is just this – it is built for only one platform. If you do not have the time or the budget for building different apps for different platforms, a hybrid mobile app development is the ideal solutions. 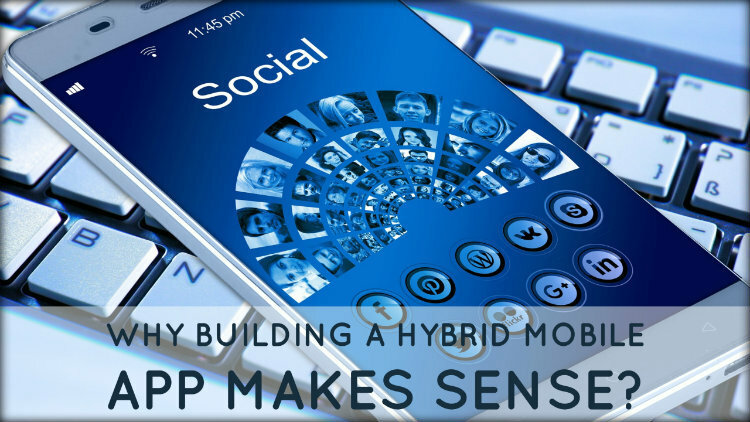 Unlike native apps, hybrid apps are not built for any specific mobile operating system. This means that you only have to build one version of your app and it will work across both iOS and Android devices, along with other mobile devices. You not only save money building a hybrid app, but also time. Hybrid app maintenance is as simple as upgrading a web page. These apps make use of all the features of a mobile devices and this exceptional flexibility makes hybrid apps very popular and scalable. Avail our mobile app development services to design and build a bespoke hybrid app. In case you still have any doubts, feel free to get in touch with Webzemini’s team of mobile developers. We will walk you through the whole process.